Even as LGBT characters and out celebrities become more common in pop culture and mainstream media, the richness and complexity of real queer lives remains largely invisible. Our stories are not so much presented as they are borrowed, watered down, made slightly absurd and then sold back to us. Queer Memoir attempts to provide an avenue to share real queer lives and celebrate the ritual and community-building value of storytelling. On the Q train platform. Because that’s a perfectly logical place to share some stories! Radical queer org office space// an art museum// a bookstore// underground performance space// LGBT community centers in 3 different boroughs// a vintage clothing store// on the Q train// on the A train// a community room of a Lower East side co-op// the picture window of a SOHO cell phone store// a public library// a senior center// . 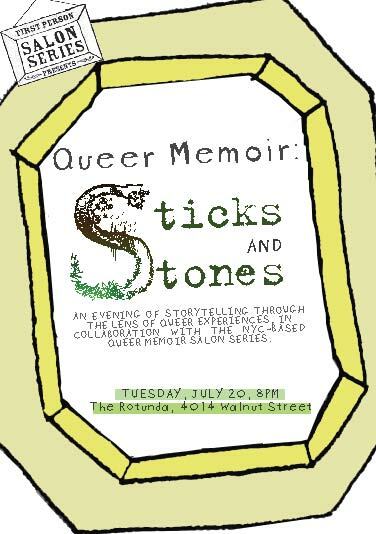 In addition to our New York based events, we also have hosted Queer Memoir events in Philadelphia and San Francisco. 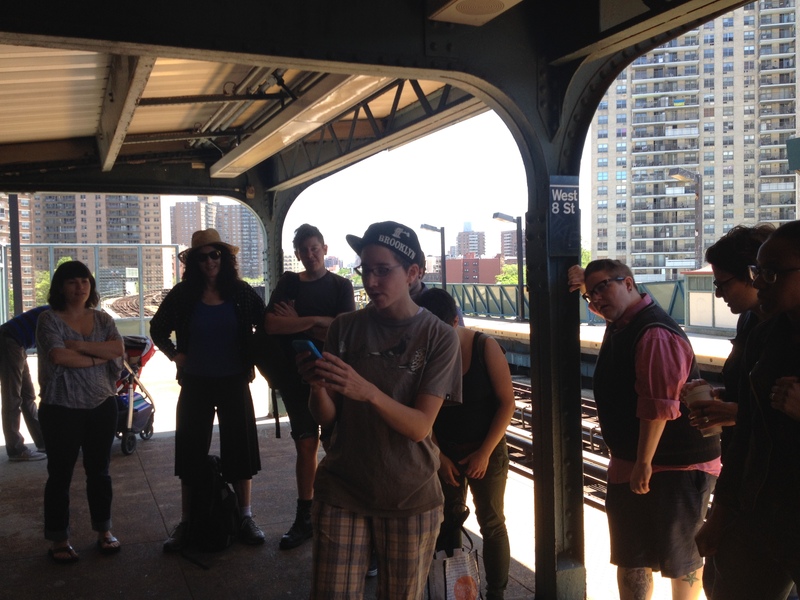 Past collaborations have included: the Nolose conference, First Person Arts in Philadelphia, Brooklyn Pride, Queer Shabbaton with the Nehrim organization, The Free Library of Philadelphia, Butch Voices NYC, the Fresh Fruit Festival, the Gotham Storytelling Festival and the Attic LGBT Youth Center.